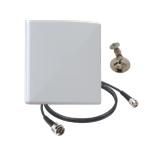 Derived from our best-selling A5010 antenna and designed to the Times-7 high-quality standards with very compact dimensions of 150 mm / 5.9 inch square, the Times-7 A5020 is more than just a commodity antenna. 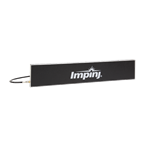 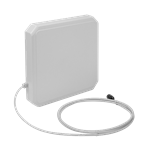 IP68 rated for permanent outdoor use with a 1.5 ft. wider reading range than other antennas of similar size, this antenna is unique in the UHF RFID market and creates a new benchmark. 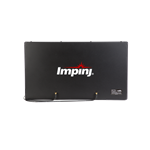 Its aesthetically appealing design makes the A5020 very convenient for customer facing environments. 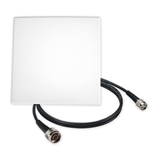 The Times-7 SlimLine A5010 Circular Polarized UHF RFID antenna is the industry leading ultra-low profile design is now available in a compact 250mm / 10 inch square footprint. 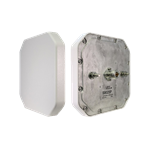 IP67 rated for permanent outdoor use and built to Times-7’s high standard for quality and robustness, the circularly polarized A5010 creates a new benchmark for multi-purpose UHF RFID antennas. 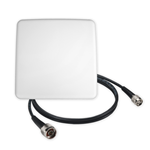 The Identix ANT85C7070 is a high efficiency UHF Circular Polarized RFID Antenna. 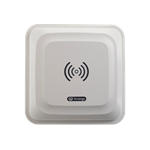 It offers a high gain, low axial ratio, making it an excellent choice for the different UHF RFID applications. 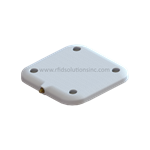 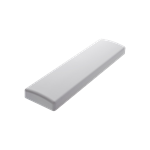 Identix Short Range UHF RFID Antenna designed for close proximity RFID Applications.